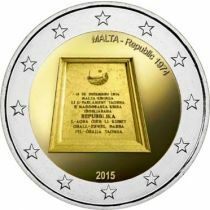 Each country may issue two commemorative coins per year. 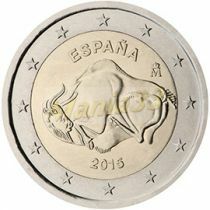 These coins have the same features and properties and the same common side as normal €2 coins. 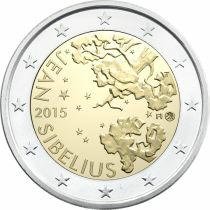 What makes them different is their commemorative design on the national side. 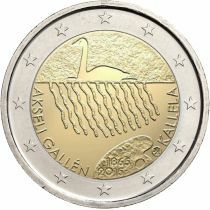 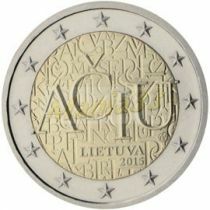 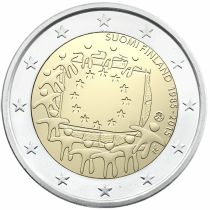 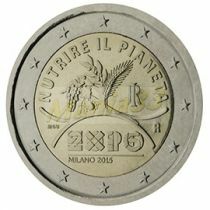 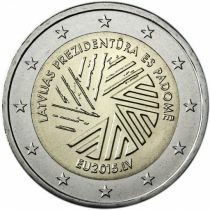 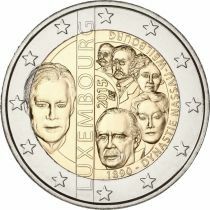 Only the €2 denomination can be used for commemorative coins. 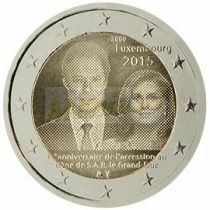 They are legal tender throughout the euro area. 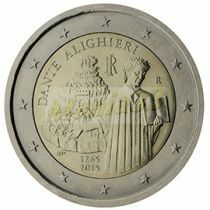 That means they can be used – and must be accepted – just like any other euro coin. 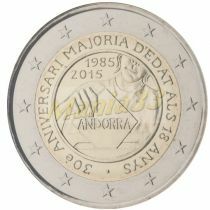 Most of these coins commemorate the anniversaries of historical events or draw attention to current events of historic importance. 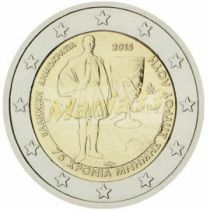 The very first €2 commemorative coin was issued by Greece to commemorate the Olympic Games in Athens in 2004. 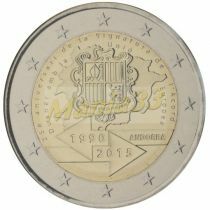 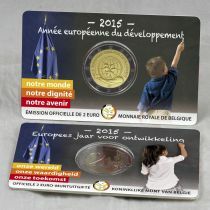 Designing and issuing the coins is the competence of the individual euro countries. 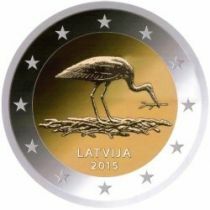 The ECB’s role regarding the commemorative but also all other coins is to approve the maximum volumes of coins that the individual countries may issue.